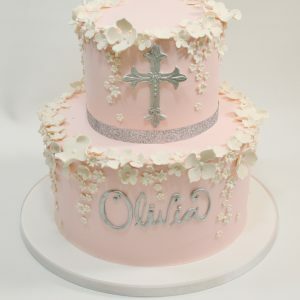 This cake includes customer’s choice 1 color buttercream & 1 color various sized cupped flowers. Center of flower to be detailed in same color as buttercream. 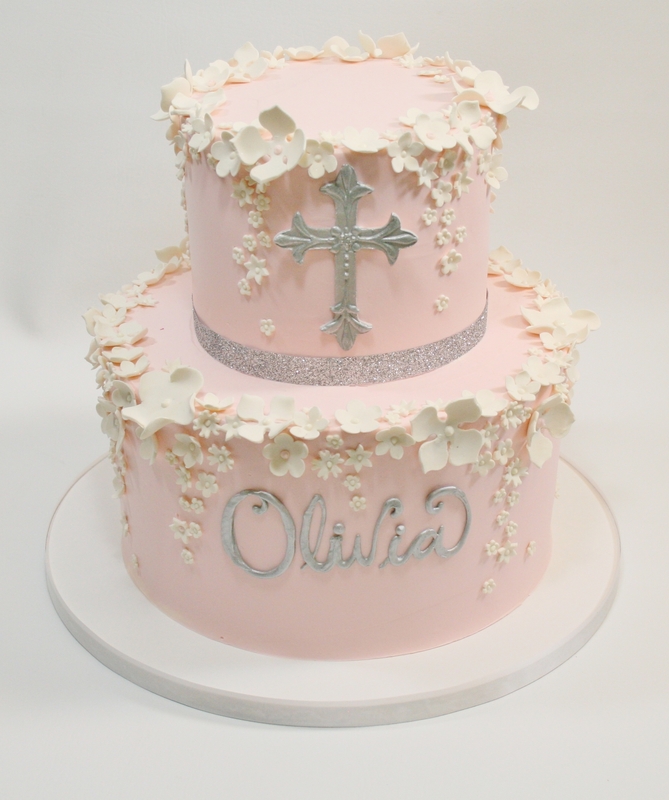 Ribbon border is customer’s choice with metallic silver name & rolled chocolate gothic cross on front side. Shown in lightest pink & metallic silver with glitter silver ribbon border.